Alright, it’s The Arts! : Samhain Edition! Here, I am posting more witchy based creative materials that you can use! Don’t forget, you can still submit to Samhain Pickers to win a chance for a free divination reading from me, Black Witch! Want to send in an entry form? All info will be at the bottom of the post, three winners will be picked on Samhain/Halloween. Want to use a great online dictionary that isn’t God Checker because you want something strictly factual, not overly snarky? Mythology Dictionary is for you! It is ahhhhhhh-mazing! I really love it, I found it looking up new deities dictionaries. Usually whenever I check out mythology, I look up entries on African deities because if you need a litmus test on how well an all-around mythology dictionary works, look up anything that isn’t dedicated to the European deities. If the book has pages on pages about Aphrodite but a thumb print size scribble about Yemeya and the book looks and feel like it could substitute a brick, put the book down … or just lob it at the author’s head. Just chuck it. If it’s an online dictionary, just chuck your online device at them instead. Or a rock. What I love most about it is how thorough it is on everyone and if there are deities of different cultures that happened to have the same names, they’ll get referenced too so you can learn more about the world or maybe you got the name right but the culture wrong. It’s a fantastic resource that I would highly recommend to anyone, new or experienced, because it’s such an outstanding resource for learning about different deities. Actually, this site will be replacing God Checker in my “Links of Interest” now. 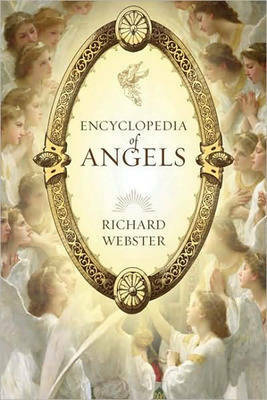 Ever since having that mention about angels and thrones and such, it kind of has gotten me back into the gear of looking up (good) information of angels because hey, never know when you need the info and I founds a nice, useful general use array to use for when I get back into sigil working (I’m a wee rusty). These books are it! Remember folks, angels are not exactly people with wings so take caution! Avalon Moon would have been here but they’ve gone offline with their shop but Gryphon’s Moon is still here with their fantastic cloaks, Pagan wall hooks (which is great for me because I forever misplace my keys) and fantastic stuffs for all your magickal needs. I know I featured this before but it bears showing again! It is a fantastic site that is great for any magickal practitioner that wants to know the correct day and hour to cast whatever they want. It’s fantastic for anyone who doesn’t want to pick up an ephemeris. Annnnnnnd it is localized so you’ll never make the mistake of finding out the correct hour for casting and discovering that it’s for a town three time zones over. It totally simplifies magick working. For my more hermetic practitioners! Here is the Hermetic Library. Read in English and Latin noted and not-so-noted works regarding hermeticism, Thelma and occultism. I just am speechless at the thoroughness of the site. There are writings from William Butler Yeats, Aleister Crowley, Florence Farr, and Swami Vivekananda. Just so much information all in one place. Outstanding simply! And press “Send”! Winners will be picked on Samhain/Halloween! Also, I can’t believe I nearly forgot! Ustream chat on Halloween! It will be done at 9 PM EST on Halloween/Samhain. Be there! Ask me questions, interact with me, whatever. Let’s talk! So, I was perusing the Black Witch Tumblr (as I frequently do) and up came a couple discussions that provoked a memory from when I was 17. When I was a wee young lass (ok, this was, like, 9 years ago) I wound up unknowingly summoning a Throne when I was in my room practicing a song for choir. It was blue (as all ethereal beings look like to me because it’s already hard enough to see them, ha) and a fairly big thing that looked like a wheel with an eye in the middle…and coming towards me. I was pretty scared since I sensed a lot of energy coming off it and had no clue what it was and it was coming towards me in a quick fashion in my bedroom. It disappeared (or I got rid of it, I don’t remember but I do remember a forceful energy) before it got to me but not before I nearly fell over my scattered clothes in my junky room. It was there for roughly half a minute but the memory stuck with me for far longer. Yah, I thought it was about the sun and its rays. I had never heard of a Throne when I was that age but I really did like the song and thus sang it often and with heart. Putting all that energy in the song and singing it so frequently probably is what mistakenly brought the Throne I saw. Oh, and I’m sure it didn’t help that I’m in an area that’s surrounded by old churches, an old synagogue (that was bought by the Freemasons) and the Freemasons main building is roughly a street away. For those who are probably going, “What…is a Throne? You’re not talking highly bedazzled chairs, are you?” don’t feel bad, it’s not common knowledge. A Throne is an angel. A high ranking angel as that. Google search the image of “Throne – angel” and you’ll see that angels are not exactly “people with wings”. The “people with wings” concept is from European artists for people to better connect with the imagery… and not frighten them. The Throne I saw is an Ophanim, which is a high ranking Merkabah angel that guards the throne of Glory. 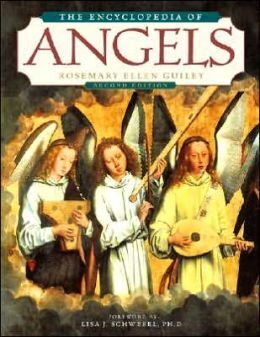 They’re mentioned a lot in The Encyclopedia of Angels (Rosemary Guiley). I highly recommend reading the book. So, that was a “Wow” experience I kinda never wanna have again. Only thing that surprises me is that I could summon such an entity at a young and magickally inexperienced age. See you next week for The Arts! Alrightee, folks time to continue the very last American election coverage on Black Witch and get something for Samhain underway. And don’t forget Samhain Pickers and the Ustream chat on Halloween, that’s at the bottom! Since creating such an election info dump the last time around, I notice the one I touted the most was Vote Smart. It’s their Vote Easy, simply stunning. I have used both their presidential and congressional election sections and suggest everyone to do the same. It is fantastic, if you haven’t used it, do so. Vote Smart/Vote Easy: Best way to find how out who you stand with and who stands most for you. The Debates: They are quite entertaining. Watch them here if you haven’t. There’s one more for the major parties on Monday and then there’s the Third partiers debate on Oct 23. Where To Park Your Broomstick (Lauren Manoy): First book I ever started out with and will always recommend no matter what. Great with the basics and even teaches about other religions so you can make a sound choice in what faith you really want to follow. Elements of Witchcraft (Ellen Dugan): Another book I started out with as a noob. The guided meditations are fantastic and everything is so thorough in the book with some writing exercises in there, too. The Crystal Bible (Judy Hall): Great book for beginners in crystal work and other forms of Earth/Green magick. The visuals are stunning, the information is simple and easy to use, great for beginners. The Watkins Dictionary of Magic (Nevill Drury): Great resource book for those trying to figure out the magickal world and simply curious alike. Very well written and I refer to it all the time. Candle Magic for Beginners (Richard Webster): Great book for those getting into candle magick. It teaches how to work with colors, fragrances, different types of candles and with spiritual beings (even angels). A Witch Alone (Marian Green): I’ve just picked this book up but it seems pretty decent so far. It’s very strong in information and for all Pagans, not simply Wiccans and great for solo practitioners. The Temple of Witchcraft series (Christopher Penczak): There are several books in this series, such as The Inner Temple of Witchcraft, The Outer Temple of Witchcraft and more. I used these when I was new and they’re great and very thorough. The Magickal Life (Vivianne Crowley): Great book for beginners that covers on just about everything Pagan from her beginnings to her discoveries and learnings. Very entertaining read, too. Amulets & Talismans for Beginners (Richard Webster): Another flawless book from Mr. Webster, he’s just that great an author. This book is to teach you about, you guessed it, amulets and talismans. And it is spiffy. Pagans & Christians (Gus Di Zerega): This book pretty much came from a roundtable discussion between Christians and Pagans in the comparisons and contrasts between our faiths. It’s a pretty good read to see where we’re the same and where we’re not. MysticWicks: This message board has it all and is great for noob Pagans and the experienced alike. They have a section for everyone. Alabe: Natal chart drafting site, I use it all the time when I’m creating natal charts for anyone. Fantastic and free to use but their software is also stunning. AAWiccan Society: This is for all Black Pagans, don’t let the name fool you. On this site is information about other Black Pagan blogs, the AAWS blog, twitter and Facebook group. Definitely check it out. 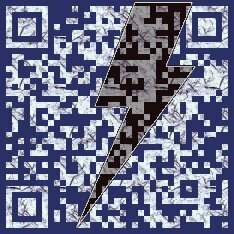 God Checker: Fantastic online checker of the different deities in the world with a hint of humor. Very much fantastic. That it for this week, folks! Next week is Ask Black Witch! Send questions! Good questions are appreciated, bad questions are eviscerated. 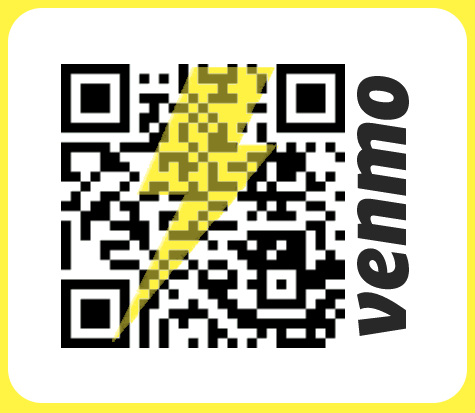 Click send and you’re done! Also, there will be an Ustream chat on Halloween at 4:30 PM EST with me, Black Witch! I want to interact with you guys so I’ll be taking questions through Ustream and Twitter (@thisblackwitch) so ask some good questions, okay? This year’s round up is Black Pagan blogs, books and other very Pagan things! I’m super happy that there are actually Black Pagan blogs to mention and just in case I miss a few, please do meander over to the African-American Wiccan Society’s Important Links page to find more and more. These blogs are just like mine, they’re Pagan blogs intended for a Black audience. I will admit, there has been a very recent sprouting of many Black Pagan blogs that provide a very multifaceted look of the Black Pagan community. I’m happy to see this when only a year or two ago, I haven’t seen really even this much of a blog roll dedicated for Black Pagans and written by Black Pagans. This is great! Takes work off of my shoulders definitely! I believe I have focused on some fairly Witchy books last year and not enough divination so I’ll be doing some of that. But first, I was asked to do a book review! I thought that was a very nice opportunity! 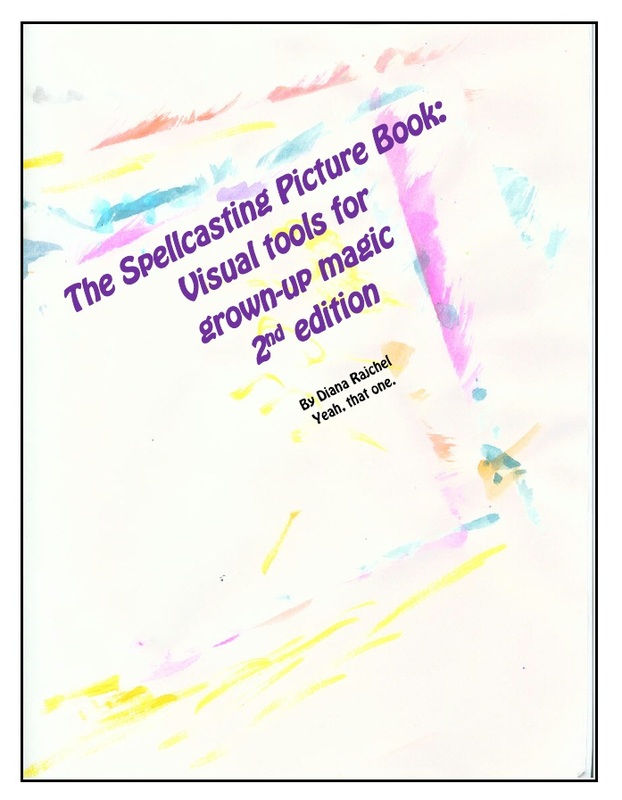 The book is titled The Spellcasting Picture Book: Visual Tools for Grown-up Magic, written by Diana Rajchel. Okay then, here is my review for the book: I believe that the book could definitely use some improvement as I feel that it is not exactly ready for prime time yet. From the start of the book, the reader is faced with the fact that the writer is mired in controversy apparently. On the cover under the author’s name it reads, “Yeah, that one.” And the Preface sounds very pointed: “If you’re reading this it’s likely because you know me, know my perfumery, or know a little bit about me and want to see if whatever the current batch of rumors is are true.” What rumors? I, and I’m sure most other potential readers (unless I’ve been living under a rock), are not at all familiar with Rajchel or her work so it presents as a personal and private dislike aired in a public place. I understand having haters buuuuut there is a way to discuss them in an objective manner or at least provide a more thorough background than the one provided. A blog is one thing to air out disdain for those who dislike what you’re doing but a book is a bit different. Here’s what I found very bothersome on the How to Use this Book page: “About Witchcraft: If you want to know more about Witchcraft and/or Wicca, please ask someone else.” That’s as if saying, “Please don’t read my book, it’s a waste of time.” Rajchel does mention other books that would be good to reference at the back of the book but she should have at least mentioned that in the “About Witchcraft” blurb. The artistry is very base and, frankly, poorly done. If this was a book where Pagan religious artwork was collected from kids, fine, but it’s not. Bad photoshop of floating arms and hands, poorly assembled artwork that – for me – is reminiscent of crack conspiracy websites, reuse of drawn pictures – none of the artwork is good. The author describes it as “primitive” but this is not at all primitive. I have seen primitive art from various cultures and this is not it. It is moreso very basic and childlike. Very poorly done. Whatever good artistry is there was nicked from the internet and ‘shopped in. I have seen picture spell books such as The Spell Bible and they are done well. This book, I cannot say I have the same opinion for. The writing, which was both handwritten and typed was not incredibly provocative but fairly mediocre at best. The Spellcasting Picture Book, claims to be a picture book for adults but at a glance, it seems more for children. I wouldn’t recommend it at all to anyone. Yes, the art in this work are doodles and personal works of the author which she put her heart and mind into it but still, I have to hold the work to a particular standard that it does not meet. Onward to the other books! If you do want to see a picture book of spells done well, get The Spell Bible. It is amazing the works they have in there and the spells are very beautifully photographed and explained. There are various spells in there for a range of subjects (no jinxes though. If you’re that coldhearted, just be yourself, that’s jinx enough.) and while I haven’t tried them myself because I make my own spells, they are very well crafted. 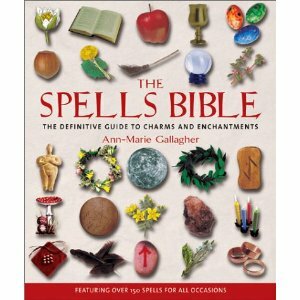 This is a wonderful book for starters, intermediates or those who just need a little guidance for their spellcrafting. The pictures are beautiful, the spells are amazing and it’s all simply wonderful in a little, compact book. The pages are color coded for ease of use and there is an index and glossary as well as a reference page for materials and anything else you may need. 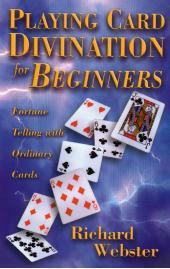 This book has taught me all I needed to know about playing card divination, my very first divining skill. It is a great book that breaks everything down card by card, has a special section on the joker, suggest spreads and more. My book is pretty tattered and worn from all the use, I’ve had it for half a decade but I still refer to it when I do readings and if I forget how to do a particular spread. This book also talks about combination spreads (such as what happens if you get three Aces in a spread or face cards everywhere) and there’s a great history section at the start of the book. Webster shares his own experiences doing card readings and gives ideas of how to diversify the divination practice using dice or paper. Now, I think this book is out of print and if that’s true, I’ll digitize my copy and have it up here. I tried emailing Webster and I think even the publisher themselves but I haven’t heard anything back I’m not going to wait. Information is information. 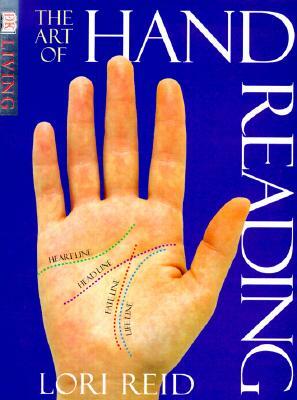 This is one of the many books I have on palmistry – okay, one of the three, I don’t believe in having a billion books on one metaphysical subject because info overlaps and most books out there are pretty crappy. This book is completely awesome in that it goes into the political and religious history briefly in regards to palmistry. It’s very interesting to learn! Also there’s a section that talks about how different hand gestures mean different things in different parts of the world. The easiest example is the peace sign, palm inwards. In America, it can be a parting salutation. In the UK, it’s flipping someone off. The book is very factual so there not much, if any, fluffy content there. The first anthology for Black Pagans has arrived! 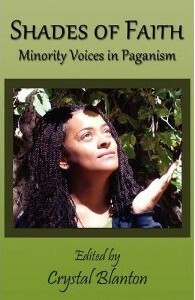 If you saw this post calling for Black Pagan entries, this book is what has come of it. It is very well done and two of my writings are in the anthology, one that is here on Black Witch “Why Don’t You Like Me?” and one exclusively for the anthology “Missing in the Picture”. There are a variety of Black (and I think other minority) voices heard in the anthology and it is indeed nice to have a Black book on religion but it not be focused on Christianity. Nab it! I have few webshops that I go to because I am quite accustomed to buying in person but if you have any suggestions, speak your mind in the comments! To see more, please refer to last year’s Samhain Edition. Kotori Cards – This is pretty much shilling for my friends who are very awesome diviners. My (recently married :3 ) friends Jess and John started their store online after having a very successful run for many years. Now, I usually am not for people paying for readings, I still think it is better you learn for yourself but these two are amazing readers for those who still want to pay for readings. The Dark Moon – The African American Wiccan Society finally has their store up and it has just about everything and growing in stock each and every day. The ritual chocolates look wonderful and there’s even gear specifically designed for Black Pagans such as tarot bags and more. Well that’s it for The Arts! : Samhain Edition!